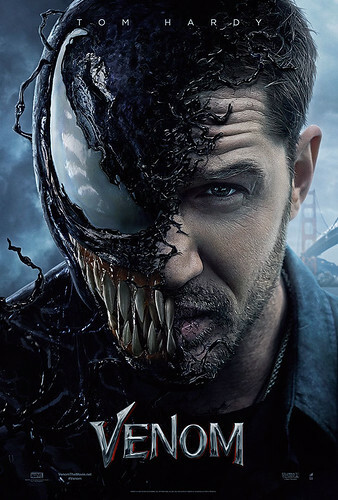 This weekend Sony's Venom bit the head off the box office charts, breaking records and becoming the highest October opening for a movie of all time. Here is the Weekend Boxoffice Chart for the weekend of October 5th to October 7th, 2018. Venom once again shows that you totally can't trust movie critics any more, they trashed the film but the public showed up to see it anyway. We got out to see it, I would rate it around the quality of the worst of the Marvel movies... say around as good as the first Ant-Man.